English-French and French-English translations done quick and professionally! The French language is part of the New Latin group and is spoken in more than 50 countries worldwide, besides France. It is an official language not only in France, but in at least 20 other countries. More than 120 million people speak French and therefore it has become one of the most popular languages in the world. Many people study and speak it not only because it is important, but also because it has beautiful sound and depth. French, like English or German, is widely spoken around the world. Countless people choose it as a second language, because you can use it in many countries, even if you only speak it at a beginner level. For a translation however, it is not enough to just speak the language; you must know all the grammatical and stylistic rules. Our Coventry translation agency employs translators, who have many years of experience; they use English and French with confidence and on a daily basis. 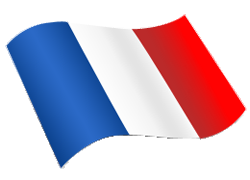 Based on how much our employees use French, we believe that for French translations there is no one better than us! As French is the official language of 25 countries, certified translations can be used throughout most of the world. Most official authorities accept certified translations made at translation agencies. Certified French translations have a codicil for which our translation agency takes full responsibility regarding the accuracy of the translation compared to the original. We prepare certified French translations for: degrees, company contracts, morality certificates, legal decisions, personal documents (notarized statements, marriage certificates, identification cards), as well as any document which someone requests. Our native speaking French specialty translators can translate any technical text in a short time, whether its medical, legal or industrial. At the same time we do literary translations, such as books, novels, poetry, and other literary works.